HOT DEAL: Mordaunt-Short Aviano 1 speakers slashed to £99.95 | What Hi-Fi? 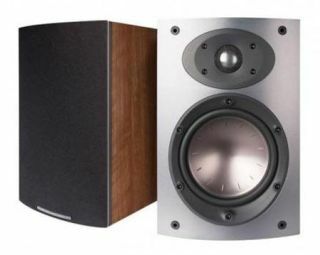 Now here's a bit of a bargain: the Mordaunt-Short Aviano 1 standmount speakers, awarded five stars by us back in October 2009 at £250 (they subsequently dropped to four stars and £200) are now available for £99.95. This is a limited offer, running until next Thursday, June 14th, and applies to the dark walnut finish only (not black or rosewood). You can buy them at that price either directly from Mordaunt-Short online with free delivery, or from Richer Sounds stores. We suspect stocks will be limited, so if you fancy a pair, don't wait too long.